﻿ Joshua 1:5 "No man will be able to stand before you all the days of your life Just as I have been with Moses, I will be with you; I will not fail you or forsake you. No one will be victorious against you for the rest of your life. I'll be with you just like I was with Moses I'll neither fail you nor abandon you. There shall not any man be able to stand before thee all the days of thy life. As I was with Moses, so I will be with thee. I will not fail thee, nor forsake thee. While you are living, all will give way before you: as I was with Moses, so I will be with you; I will not take away my help from you or give you up. 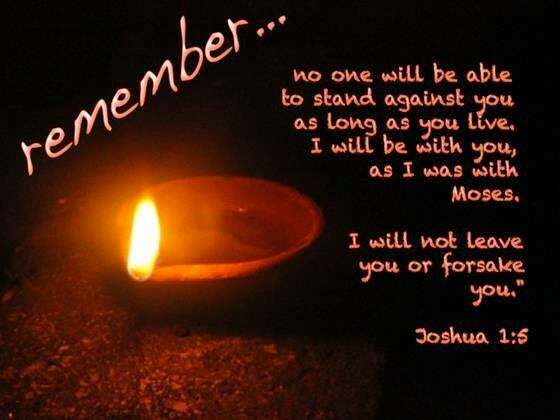 No man shall stand before thee all the days of thy life: as I was with Moses, I will be with thee: I will not forsake thee and I will not leave thee. No one will stand before you all the days of your life. [Just] as I was with Moses, [so] will I be with you; I will not fail you, and I will not forsake you. No man shall be able to stand before you all the days of your life. As I was with Moses, so I will be with you. I will not fail you nor forsake you. There shall not a man be able to withstand thee all the days of thy life. 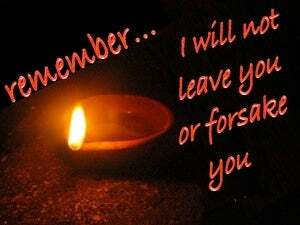 For as I was with Moses, so will I be with thee and will neither leave thee, nor forsake thee. No man shall stand before thee, all the days of thy life, - as I was with Moses, so I will be with thee, I will not fail thee, neither will I forsake thee. 4 "From the wilderness and this Lebanon, even as far as the great river, the river Euphrates, all the land of the Hittites, and as far as the Great Sea toward the setting of the sun will be your territory. 5 "No man will be able to stand before you all the days of your life Just as I have been with Moses, I will be with you; I will not fail you or forsake you. 6 "Be strong and courageous, for you shall give this people possession of the land which I swore to their fathers to give them. "He will deliver their kings into your hand so that you will make their name perish from under heaven; no man will be able to stand before you until you have destroyed them.